We specialize in CoolSculpting, Skin Care treatments, Hair Removal and Injectables, providing exceptional client service. Whether you’re in the mood for a refreshing facial or need help hiding an old scar, our full-service Med Spa offers a variety of treatments to address any concern, like preventative skincare solutions for our young professionals and corrective procedures to treat our life experienced clientèle. We’ve explored near and far in search of the best cutting-edge technology to help our clients defy gravity, redefine beauty & inspire confidence. By delivering the highest quality of services for both men and women, we’ve successfully provided our clients with a better way to a better body and skin care. Our specialized team of estheticians has the skills and technology to help you break down insecurities and build self-esteem. We’ve got something to help everyone, whether it’s a customized package of treatments or a one-time quick fix. I am a transplant from Massachusetts where I attended Catherine Hinds Institute of Esthetics in 2006. When people ask me how I got into the skincare industry I always tell them it was because I was a hairy Italian girl! I went for my own laser hair removal just out of high school and fell in love with the idea of working with lasers. I moved to Colorado in 2008 where I pursued my love of medical esthetics and opened Denver Laser Solutions in 2010. After starting out as a mobile business we settled down with a permanent location inside The Denver Athletic Club in downtown, Denver. Being located downtown is such a special niche for us as we love growing alongside this beautiful city. My favorite part of skin care is the ever-growing technological advances in non-invasive esthetic devices as this type of technology has always interested me. Since moving to Denver I now highly enjoy skiing and hiking my two bull mastiffs. I also have a passion for Real Estate and enjoy working on my home. Please come in and see us soon! Hi Denver! I have been an esthetician and laser technician for over ten years. I initially gained an interest in skincare back when I was a pastry chef and was making my own bath and body products for friends and family. It was incredibly fascinating to me that there were a lot of parallels between skincare and baking! I craved a more formal education about the skin so I moved out to Denver to attend The College of International Esthetics school in 2008. I was originally planning on moving back to Kansas City after schooling but, like most people who come here, I fell in love with the city. I now proudly call Denver my home. I always tell my clients that I love to fix problems! Whether it is acne, pigmentation, lines, and wrinkles, or even unwanted hair, I enjoy being able to address specific skin care concerns through targeted, results-oriented treatments. On my time off, I enjoy restoring vintage furniture and thrift store finds as well as exploring Denver’s music scene. I look forward to meeting you soon! I am a Colorado native from the cold Rocky Mountains surrounding Vail. I have lived in Denver for almost six years now and enjoy the change of an urban lifestyle. I originally had an interest in makeup artistry, however, I gained a passion for skincare from my two aunts who are practicing estheticians in the metro area as well. I love being able to help my clients feel good about themselves and their appearance by utilizing therapeutic and medical treatments. I chose Denver Laser Solutions because of the wide variety of services available to offer our clients, there is a tool to successfully accomplish addressing each person and their skincare needs. Outside of being an aesthetician, I spend as much quality time as possible with friends and family, including my two dogs. I also love to camp and enjoy the outdoors with loved ones. When the occasion arises I enjoy taking advantage of the amazing ski resorts I have been lucky enough to call my home. Hi! I’m Sara, a licensed aesthetician born and raised in Centennial, CO. I originally got into skincare because I love helping people feel more confident in their own skin. I’ve always been passionate about skincare and struggled with severe acne for many years until finally finding my own clear skin regime. I love being able to provide results-oriented treatments for my clients and working with them to come up with an individualized plan to meet their specific needs. When I’m not working I love spending my time with my wonderful daughter who is a 3-nager and my amazing boyfriend, Royal. Hello Denver! 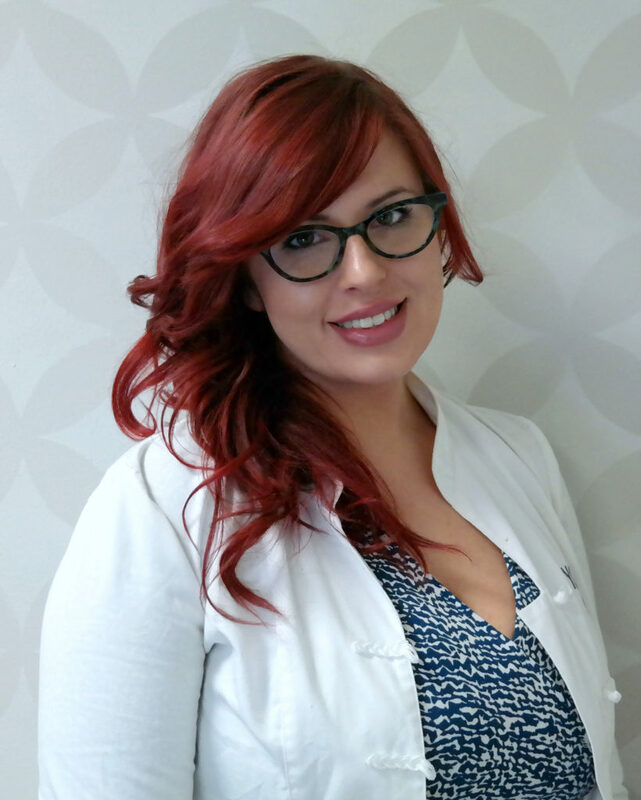 My name is Cassy, I am a licensed esthetician and laser technician. I am a Colorado Native (What’s up Fruita!) and I have been here in the city for a little over 4 years with my boyfriend and our adorable dog, Ahsoka. I have always wanted to be in a field where I can help people, and being in the beauty industry has enabled me to do just that, plus I get to immerse myself in everything beautiful! My favorite part of of being an esthetician is getting to learn the science behind how everything works. I love being able to tell my clients how and why their skin care services are working! I can’t wait to meet you and start getting you to your skin goals! I am an experienced receptionist with vast industry knowledge. I have been working in spa management for about 6 years now am I overjoyed to be at Denver Laser Solutions. Originally I am from upstate New York, my family and I moved here in 2001 and couldn’t break away from Colorado’s unique culture. I have now spent more than half my life enjoying and thriving in Colorado. Becoming fascinated and engrossed with alternative medicine I learned that I had a passion for pursuing a career in acupuncture. When I am not answering your phone calls and ensuring a smooth transition behind the front desk, I am studying at college to one day make my dream a reality. I am so excited to broaden my knowledge about not only skin care but the chemistry and botany behind every sensational product. I believe that skincare is absolutely essential to achieve wellness for both the physical and the emotional being. My favorite part of this job is seeing all the happy clients coming out of their sessions, glowing and smiling. When I am not at work, I explore vast art and music scene of Denver or the beautiful terrain of the mountains. I would love to meet you soon, stop by anytime.